The 2018 World Championship had it all—the best players in the world, the newest set in Guilds of Ravnica, the biggest stakes, and the biggest stories. Here are the moments that stood out from the weekend. The World Championship is the toughest tournament of the year, and in a season filled with stacked tournaments nothing can compare to Worlds, where every single round is against one of the best competitors in the world. Few things are more important than managing nerves on such a stage, something that was a recurring theme among the competitors we talked to this weekend. Some, like Seth Manfield, are former World Champions themselves but still struggle with the pressure. You can imagine, then, how hard it must be for newcomers to the tournament. But there is one benefit to being new: no pressure. Expectations from pundits were low coming in for Allen Wu, Wyatt Darby, Ben Hull, and John Rolf—all first-time visitors to the World Championship—but all four turned conventional wisdom on its head with their strong performances. All four finished in the top half of the field, an impressive finish at Worlds no matter who you are, and Wu and Darby narrowly missed advancing to the Top 4. "Hey, I've already surpassed expectations," Darby laughed when he picked up his third win of the tournament early in Day One. 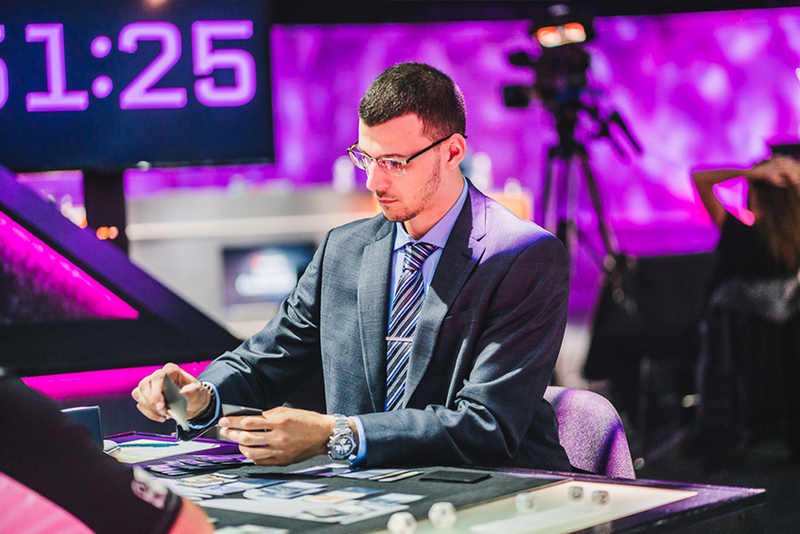 "My first time watching high-level Magic was watching Reid Duke in the finals of Worlds; I really respect him and what he does for the game, and this entire experience is just incredible. I'm loving it and I'm going to stay on the train for as long as I can. This is the dream I've been chasing since I started playing." Wyatt Darby (left) holding his own against Brad Nelson early in the tournament. If Worlds 2018 is any indication, we'll be seeing plenty more of these newcomers in the months and years to come. Shahar Shenhar may have been deemed "lucky Shahar" in his previous World Championship appearances, where he became the first and only player to ever win a second World Champion title with back-to-back wins in 2013 and 2014. In his own words, Shenhar knew he needed to get back to what made him successful—but it was going to be an uphill climb. 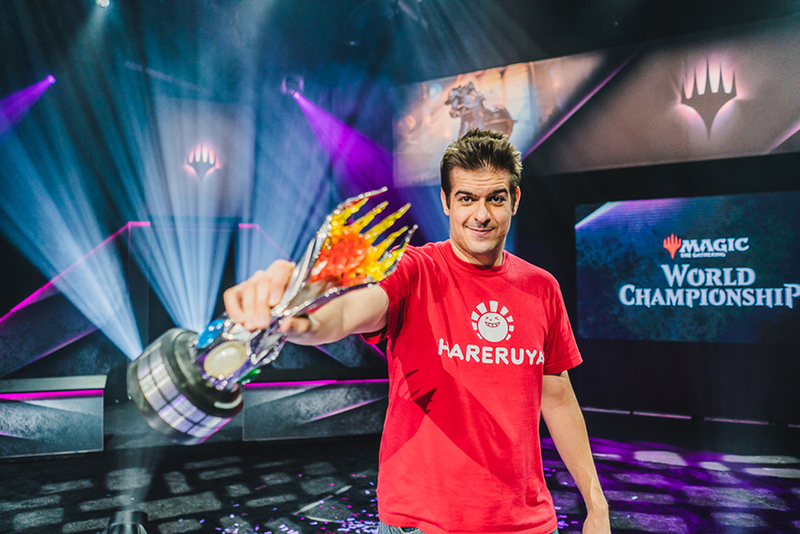 However, a (second) career breakout came at Pro Tour Ixalan with his Top 16 finish, and a whirlwind season later he found himself back at the World Championship. And when Shenhar is at the World Championship, you know what's going to follow. Wins. A lot of them. One of just two players piloting White-Blue God-Pharaoh's Gift, Shenhar methodically worked his way through the field—while dressed impeccably, by the way—and by the time he sat down for his Top 4 match against Javier Dominguez, there was no doubt he had plenty more than luck on his side. He may have failed to get back to the finals, but the five-game set he played against Dominguez featured some of the best Magic of the weekend. 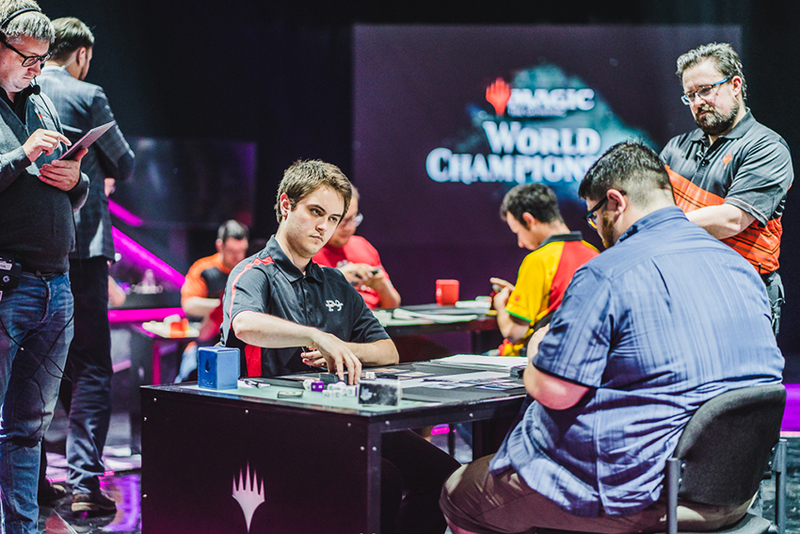 With the head start on Pro Points for the 2018–19 season, the World Championship served notice to the rest of the Magic world that Shahar Shenhar is back. 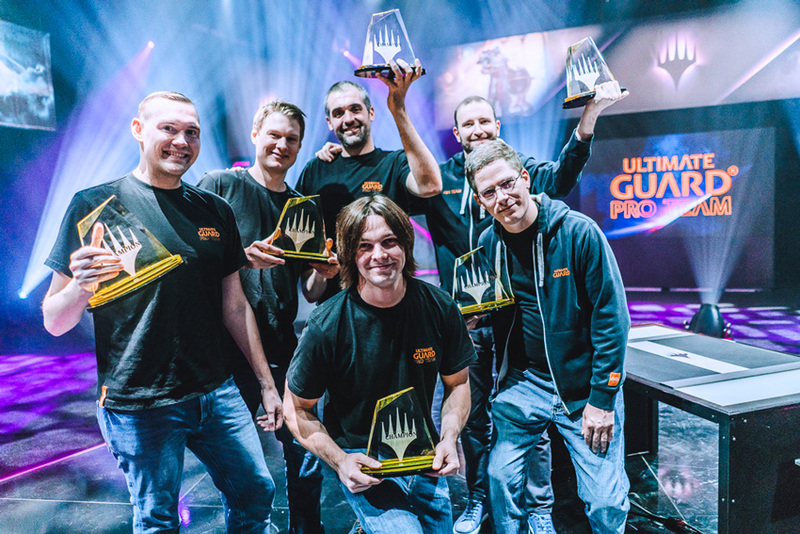 After an amazing winding road to the Team Series Championship, Ultimate Guard Pro Team won the trophies with the tournament debut of Guilds of Ravnica. The Hall of Fame–laden squad of Jon Finkel, William Jensen, Owen Turtenwald, Andrew Cuneo, Paul Rietzl, and Reid Duke closed out the year with gusto in two straight sets, defeating the Hareruya Latin team of Carlos Romão, Márcio Carvalho, Thiago Saporito, Sebastian Pozzo, Luis Esper Berthoud, and Luis Salvatto. Ultimate Guard Pro Team led the way in the leaderboard after the second and third Pro Tours of the season, keeping a commanding lead above the rest of the field. They lost the top spot with disappointing finishes at Pro Tour 25th Anniversary—ironically the team tournament—and were leapfrogged by Hareruya Latin, who nabbed almost 100 points in one event, propelling all six of them near the top of the overall Pro Point standings. 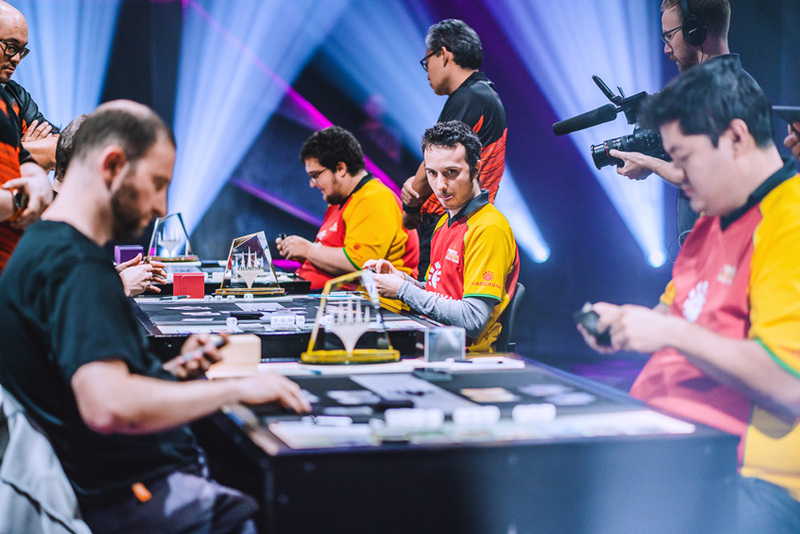 Hareruya Latin faced off against Ultimate Guard Pro Team in the culmination of the 2017–18 Team Series. But Ultimate Guard Pro Team's meticulous testing regimen paid off when playing with the all-new cards. They came to the battlefield with a level-up sideboarding strategy. The team realized that because Guilds of Ravnica's guild structure created a more predictable archetype metagame than in other formats, divvying up the sideboard cards effectively was key to winning the second and third games of each match. This strategy paid off in spades when in the second set—with Peach Garden Oath down 0-3, then down one match—Jensen and Turtenwald took the next four games in a row to rip the match right out of Hareruya Latin's jaws. Culminating the Team Series year by showcasing an unreleased set—Guilds of Ravnica—is a perfect way to test all the aspects needed to make a great Magic team: coming together to evaluate new cards, working together to build and test strategies that do or don't work, improving on those strategies if necessary, then building six decks together on a pressure-heavy time constraint. Ultimate Guard Pro Team's members have always been in the elite pantheon of the best players and best teammates in the world. This win is more than deserving and more than earned, but the Hareruya Latin team won't forget the loss, and will be looking to knock them down a peg or two next year on their way to the top. Perhaps more than anyone in the tournament besides its previous winners, Javier Dominguez entered knowing just how difficult it is to win a World Championship. He put together an incredible run at last year's tournament, and came as close to the title as he could get before ultimately losing to Hall of Famer William "Huey" Jensen in last year's title match. Even making it back to Worlds was an incredible accomplishment, but that wasn't enough for Dominguez, who played all weekend with a determination rarely seen as he tore his way through the tournament. He entered the Top 4 as the first seed and went to work immediately, wearing his heart on his sleeve all the way. There was no mistaking the nerves as he stared down multiple times he could have lost in his incredible semifinals match against Shahar Shenhar, and there was no doubting just how much it meant to him when he locked up the title in a five-game victory over Grzegorz Kowalski in the finals. It was the culmination of a journey that began a year ago, and it's hard to conceive just how stacked the odds were against Dominguez pulling off such an incredible moment. Congratulations to Javier Dominguez, the 2018 Magic World Champion!